In our age of digital technology, not everyone can appreciate things that are “old school.” One of those things is preaching from behind the pulpit, yet many people love that their pastor still stands behind the lectern to deliver God’s word to them. To them, they don’t have to be the “hipster” pastor that walks around the stage. They like it that they are pronouncing God’s word from their traditional pulpit. With that in mind, finding the best pulpit mic is something that is not talked about or written about very often. 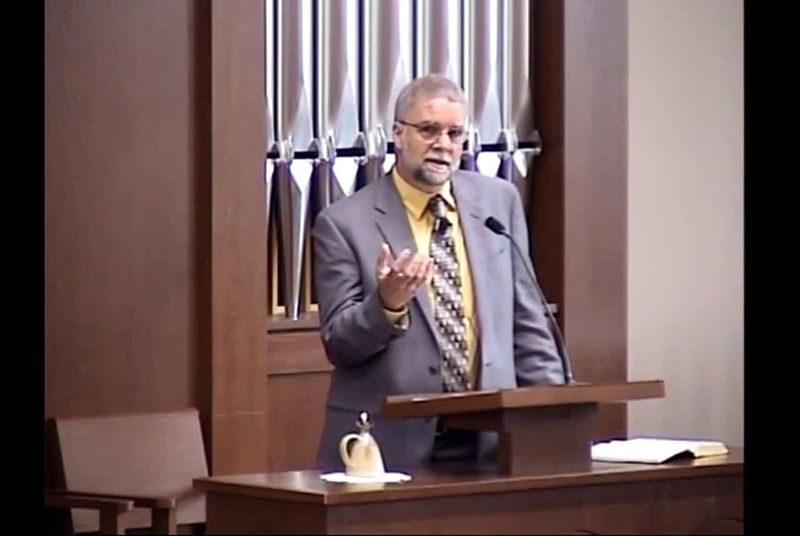 Pulpit mics often called podium mics, or lectern mics have their features and benefits. 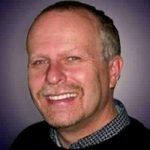 I will try to go over those features and advantages and make this, like all my articles, easy for you to choose which is the best for your church. The purpose of Easy Church Tech is to provide options for pastors and church leaders as they are searching out what is the best technology options for their church. The links I provide to products are Amazon links. I have chosen Amazon because they have proven themselves to be a reliable way to purchase products and save hours in the time spent shopping. I think it is a better use of my time to take 15 minutes to order something and have it show up on my door two days later than it is to spend hours shopping when I could be studying, praying, or visiting church members. So with that said, let’s take a look at the pulpit microphones that I am recommending. For those of you that are just looking to replace an existing microphone, then here is a list of the products. For those of you that want to do more research, I will go into greater depth below. Many people forget that there are some real benefits to using a podium microphone. Even though it is the oldest type of microphone that has been used in the church, there are some real-world advantages to having one. For instance, by using a pulpit mic, you do not need to have everyone wired up with a headset or lavalier mic. Moreover, you don’t have to drag a vocal mic over to the lectern to give the announcements, pray over the offering or any other speaking role that other people in your church may have. Everyone can use the same microphone. It can also be used in funerals and weddings where multiple people may participate in speaking. So there are some real advantages to having a microphone for the pulpit or podium. If you want a more scholarly or traditional feel to your church services, then the lectern microphone is the way to go. With multiple people using the microphone, you will want a gooseneck microphone. That way the man who is very tall and the lady who is very short can both use the same mic. You will want to mount the podium mic off center from the speaker. Either at one corner of the pulpit or at least not directly in front of the speaker. The reason you want to do this is to have the mic offset from the direction the speaker is speaking. You will eliminate the popping sound you get when people pronounce the letters p and t.
You will also want to decide whether or not you want to go wired or wireless. If you go wired, then you will need to take into consideration how to run the microphone cable through the pulpit and eventually to the sound system and mixing board. You will also want to use a foam windscreen to help with this problem as well, and for that person who feels the need to jam the mic right in front of their mouth. 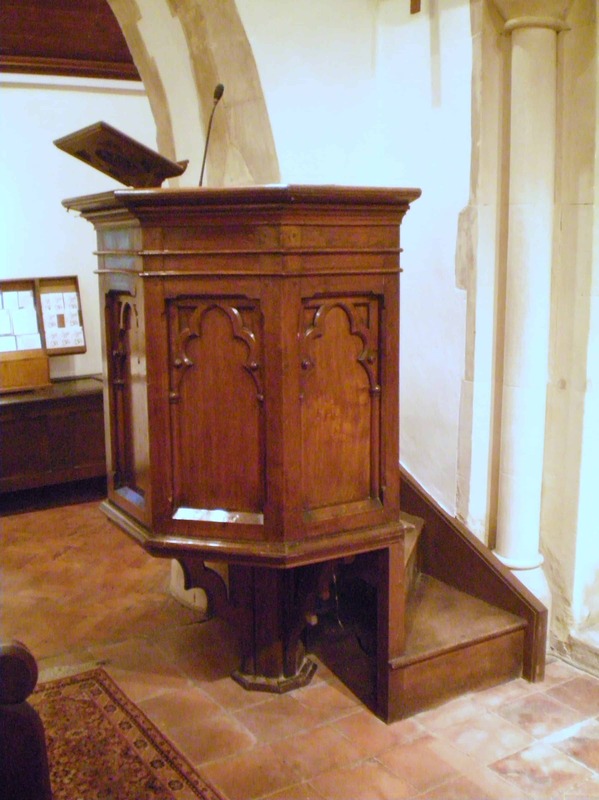 You might have noticed that I have used the terms pulpit, lectern, and podium interchangeably. I have done this on purpose because although most of us might use the term pulpit, people who are not steeped in church culture, use the other terms as well and I want to make sure they know that we are talking about the same thing. All of my microphone recommendations will work with any podium, lectern, or pulpit. Here are those recommendations. The Countryman Cardioid Podium Microphone is highly recommended by many church technology publications. 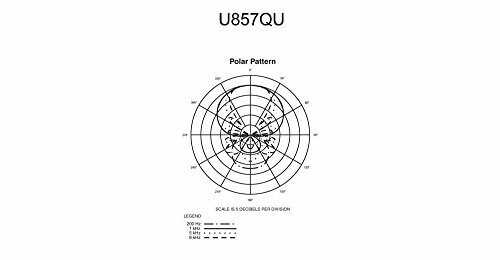 It provides a good gain signal before causing feedback in the sound system. Its vibration isolation system detects and subtracts table thumps, handling noise, and other vibration from the signal, providing full, clean sound without the need for large shock mounts. It has an 18″ gooseneck. Shock mount provides over 20 dB isolation from surface. Snap-fit foam windscreen. Locking flange mount for permanently securing microphone to lecterns, pulpits, or conference tables. Programmable on/off switch and LED on/off indicator. New brighter LED improves visibility under strong ambient lighting. Shock mount provides over 20 dB isolation from surface vibration noise. Logic input and output terminals for remote control or use with automatic microphone mixers. The Shure MX418D/S Condenser Microphone For Podiums produces a very natural sound. It has a slightly high-end signal with more treble than bass, but overall it produces an excellent sound especially for preachers. It has an 18″ gooseneck comparable to the 18″ size of the Countryman. 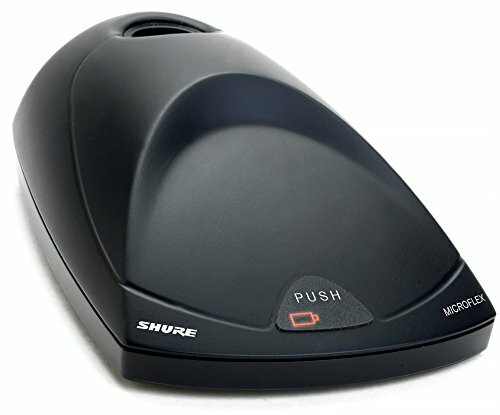 Shure is a highly respected brand in the professional audio market. The Earthworks FlexMic FM500 Cardioid Lectern Microphone is one of the more expensive pulpit mics on the market. 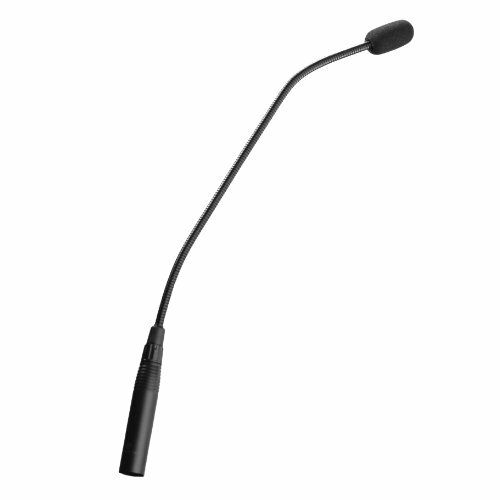 It does have a little longer gooseneck at 19″ so if that is something you need then this might be the mic for you. However, most of the tech websites do not rate it as well as some of the other podium mics. It is a little muddy and prone to more feedback than others. 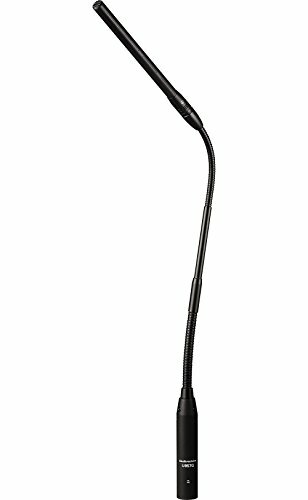 The Audio-Technica U857QU Condenser Gooseneck Microphone has a good crisp voice quality. It has better low-end sound with bass and mid-range coming out good. However, it does not do quite as good for higher end sounds. So it works great for men’s voices but not quite as good for women’s voices. However, The Audio Technica is one of the least expensive of the pro-sound pulpit mics. I am going to recommend only one wireless pulpit mic. I am sure there are more out there, but most of them are not by leaders in the music equipment world. I am going to go with the brand I trust. 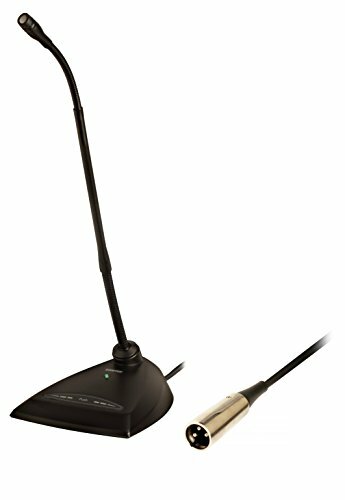 The Shure MX415/C Wireless Gooseneck Microphone Bundle comes with a Shure pulpit microphone with a 15″ gooseneck. Instead of running cables to the sound system, you can transmit the signal wirelessly. 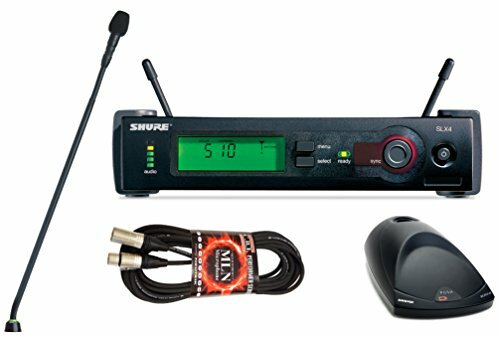 If you are connecting your pulpit mic on a new pulpit or one that has never had a pulpit mic, then you are going to need a couple of accessories. You will need a pulpit mic mount and some cables. Remember to install the mount a little off of center, and to make the microphone cable connections easy to reach and connect and disconnect. While it is not the latest fad, preaching from the pulpit is a long-standing tradition. There is something to be said for a pastor that is comfortable in his skin and doesn’t need to follow the latest fad. So be a blessing to that pastor and celebrate the way he chooses to present God’s word. Give him the best pulpit mic you can afford to help him accomplish his calling from God.